Another Captain Marvel leak has arrived thanks to an action figure release. According to a new Marvel Legends Series figure, Genis-Vell will have a role in the movie. Unlike the Grey Gargoyle action figure, the Genis-Vell character description reveals that he is in the movie. It is believed that the Grey Gargoyle figure and some Kree soldiers were brought into the Marvel Legends Series to add extra weight to the toy line. With the addition of Genis-Vell, this also means that Nega-Bands will be shown in the upcoming movie, starting speculation that The Eternals may play a part. The Marvel Legends Series Genis-Vell action figure has been revealed, along with a pretty interesting description on the back of the packaging. This is a pretty huge addition, but it is unclear how the character will be involved at this time. However, the description gives some interesting clues. You can read the description below. In the Captain Marvel comics, Genis-Vell is a clone of Mar-Vell, who is the first Captain Marvel. He is an exact clone of Mar-Vell, except for the fact that he has been implanted with false memories and believes that Starfox is his father. His Nega-Bands make him incredibly powerful, but the extreme power of the bands later caused him to go mad, which turned him into a villain. However, he was later cured and joined the heroic side once again. This could mean that Genis-Vell is shown through a flashback sequence or that he will have a part later on in the movie. It isn’t clear how this will effect Jude Law’s alleged portrayal of Mar-Vell. With the addition of Genis-Vell to Captain Marvel, there have been whispers that The Eternals may show up in a post-credit scene. 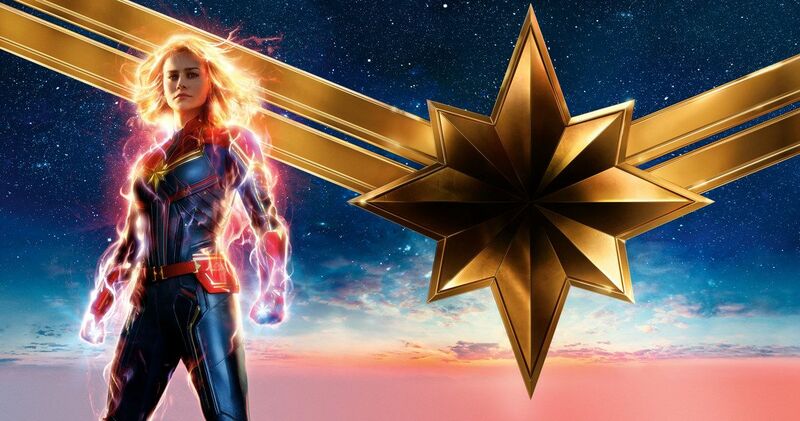 This obviously has not been confirmed, but Carol Danvers is going to have a huge part to play in Phase 4 of the Marvel Cinematic Universe, which will also include The Eternals. Whatever the case may be, this is pretty big news for a mysterious movie that seems to have a ton of surprises in store for MCU fans. Captain Marvel hits theaters on March 8th, which is just around the corner, so we should all be getting some pretty big news really soon. Even though we’ve seen quite a few leaks from action figures, we’re still pretty much in the dark as to what will go down when the movie opens in theaters. Disney and Marvel Studios are total pros when it comes to keeping the secrets of their projects under wraps until the movies hit theaters. You can check out the Genis-Vell action figure and description over at the Shop Disney website.